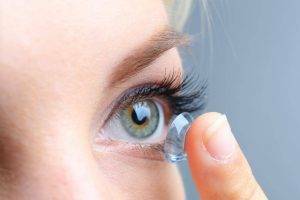 The doctors and contact lens technicians at Dr. Toshiya Arciaga & Associates in Wesley Chapel and Lakeland, Florida can take the confusion out of buying contacts. We can help you decide which lenses are right for your lifestyle. And because we are located right inside of LensCrafters, you have access to some of the finest contact lenses on the market. We can offer you 1-days, multifocal, toric, scleral and monthly contact lenses from top-quality manufacturers and distributors. In fact, we specialize in multifocal contact lenses. With the latest multifocal contact lens technology, our patients are now able to read and see things close up without reading glasses. Many different modalities are now available, including dailies and monthly multifocal contact lenses. You always get state-of-the art technology and the newest contact lens materials. LensCrafters contact lenses are always fresh and pure and never expired. In Wesley Chapel call: 813.994.4867. In Lakeland call: 863.853.9606 to schedule an eye exam today. We accept same day appointments if needed. We pledge…To give you the very best eye care possible through use of the most advanced technology and eye-care systems, combined with the personal attention of our optometrists, technicians, and eye-care staff. That when you come in for regular eye exams, we will help protect your eyes from disease, ensure you have the sharpest vision possible, and educate you on the latest products, materials and contact lens care. To give you peace of mind knowing that if you are unhappy with your contact lenses for most any reason, we will make things right—by checking your prescription and replacing the contact lenses if necessary. To remind you when you are due for your annual eye-health and contact lens exam, since most common causes of contact lens-related eye problems are due to patients not returning to their optometrist for regular checkups. That if you are not 100% satisfied, you are covered through LensCrafters contact lens policy. * This guarantee applies to most brands of contact lenses that LensCrafters sells. * Be sure to check with LensCrafters and refer to any contact lens manufacturer policies.